Law school is tough enough, why pursue joint degrees? Will this serve Indian Country? Again, we asked our alumni. What is your current occupation and how long have you held that position? Theresa Rosier: Deputy General Counsel, Salt River Pima-Maricopa Indian Community. Marlene Ray: Currently, along with managing two family businesses, my focus has been on philanthropy and volunteering which has included tutoring/mentoring Native American high school students and managing the Ray Jones Scholarship Fund benefiting California Indians pursuing postsecondary higher education. It is a great honor and privilege to be able to encourage and assist young Native people pursuing higher education either in college or trade, planting seeds for generation after generation benefiting their families, their communities and all Native peoples. Verrin Kewenvoyouma: I am an attorney, business advisor, and owner of Kewenvoyouma Law, PLLC. We are a boutique law firm which provides legal and business counsel to Indian tribes and their enterprises, primarily in the areas of corporate transactions. I have been the sole and managing partner of our firm for nine years. Prior to that, I briefly worked for another boutique law firm, KPMG, and a large national bank doing commercial finance. Kris Beecher: I am currently a JD/MBA law student starting my last year of law school in the fall of 2019. Additionally, I also serve as Chairman of the Board of Commissioners for the Navajo Housing Authority, a position I have held since July 2017. How have your concurrent MBA and JD degrees affected your career? Do you wish you had chosen a different field? Theresa Rosier: The dual JD/MBA degree was an extremely helpful degree to obtain prior to starting my career. The additional exposure that I had at the WP Carey School of Business has helped me in the following ways: 1) I am very comfortable with public speaking, and I always credit that the my MBA training, 2) I work in the area of Indian economic development, and the MBA helps me work through the business side of the transactions, even though I am acting in an attorney capacity, and 3) the MBA program’s emphasis on team work has helped me shepherd large projects and manage staff in an effective manner. Marlene Ray: As the first member of my Tribe (Table Mountain Rancheria) to graduate from college (Stanford University) and then to pursue a professional degree, I decided to pursue a joint JD/MBA degree because of the legal issues and business interests that Tribes encounter and knowing in some way I would be representing and advocating for Native peoples or businesses in my career and personal life. At the time, I thought a business degree would complement and enhance my participation in the Indian Legal Program and my interest in environmental and natural resources law, a decision that was proven true for me. After graduation from law school, I returned to Alaska to work on an environmental case in the legal department at BP Exploration (Alaska), a company I had worked for during college summers. My focus in law school in environmental and natural resources law were a great foundation for my work and interests in Alaska. From Alaska, I moved to Portland, Oregon, to pursue an L.L.M. in Environmental and Natural Resources Law at Lewis and Clark Law School. 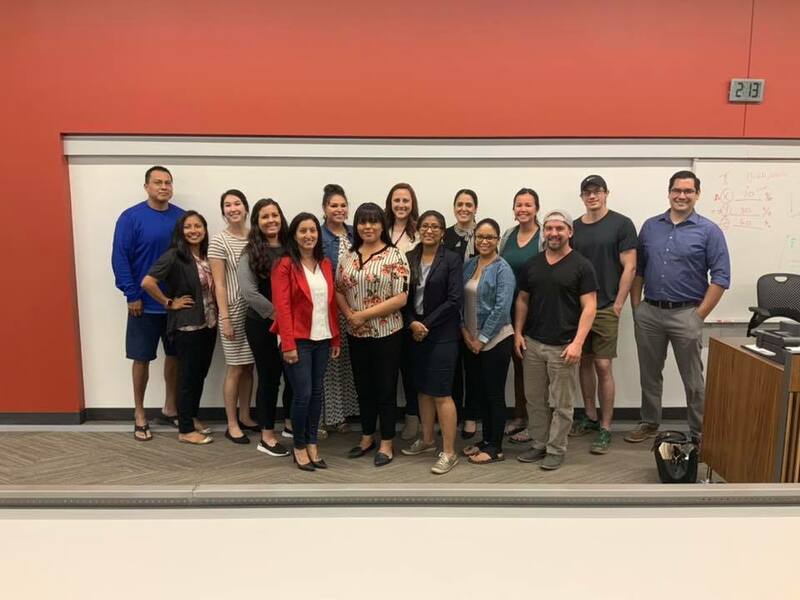 Although I did not finish the program, I gained greater knowledge of the natural resources issues facing Tribes in the northwest as well as a new perspective on the economic, historical and legal context of Tribes in the northwest. Upon returning to California, I was elected onto my Tribe’s board of directors at our casino, an experience that engaged the knowledge I had garnered from law school and business school as well as my previous work. Verrin Kewenvoyouma: While law school and experience can train you to become a good lawyer, neither legal experience nor law school train you to be a good business person. My MBA has been instrumental for me to not only manage my own firm, but to provide fully competent business advice to my clients. My joint degrees have paid off ten-fold: I have been able to raise my family (and extended family), doing the job I love, and now have opportunities to create opportunity within my own community and the communities within which I work. In short, my own career has been a means to an ends to create opportunity not only for myself, but to empower others as well. When you combine business and legal experience it is not zero sum game: you will find ways to create value for your clients and the people with whom they do business. I have learned in both disciplines and applying them in near real-time to my duties as a commissioner. I do not believe that I could have picked a better match as far as my education and the direction of my career. In what ways do you use your knowledge of law in your career and everyday life? Theresa Rosier: I am an attorney and work with the law every day. I often say, that I am professional problem solver. Most of my day is working across the table with experts from various fields who all are working towards a common goal/result. We have to work together to get that project or goal done for the client. Marlene Ray: Throughout the years, all of my professional and personal experiences have in some way been enriched and informed by the degrees I earned at Stanford University, ASU Law and ASU W.P. Carey School of Business as well as by the people, mentors, classmates and colleagues I’ve met as a result of attending college, law school and business school. As I mentor young Native students either getting ready to begin college or considering a post-graduate degree, I encourage them to consider their vast array of options, research different programs and schools, talk with current students in the program or school they’re considering, visit the program in action, figure out a budget, know there are people and resources to help them, and most importantly, to believe in themselves that their heart’s desire is important, worthy and possible. Verrin Kewenvoyouma: A wise lawyer once told me, “you can not become a good business and transaction lawyer unless you’ve done some litigation in those areas as well.” Even in scenarios where all parties have the best of intentions, as lawyers, we are trained to see the world in the most challenging ways and draft to those situations. Indeed, in litigation contract matters I have seen those situations come to life. While we can’t move through the world walking on egg shells, I’ve found that no matter the scenario, business, law, or otherwise, if you approach a situation recognizing all foreseeable options, very importantly, the solutions as well, you’ll be well prepared for anything. In short, think of all the challenges and benefits of your decisions, and be prepared. Kris Beecher: Whether I am working on projects as a commissioner or advocating for issues that I care about, my knowledge of the law informs my decisions and the way I approach potential situations. With a background in both business and law, I have a much broader range of understanding of why and how people and businesses make the decisions they do. Would you recommend a law degree or concurrent degrees to prospective students? What would you say to a student considering earning these degrees? Verrin Kewenvoyouma: I highly recommend the joint JD and MBA program for anyone who may be pursuing a career in business, business law, or seeks to manage a firm. While I can attach a price tag to the one extra year I spent in grad school to earn my MBA, the value has been immeasurable and continues to pay off. I would also be happy to speak to any student who may be considering these degrees. Kris Beecher: I would absolutely recommend any prospective JD student to consider any of the concurrent degrees available at their school. A great way to set yourself apart from the rest of the law students you will be graduating with is earning a concurrent degree. Having a broader background of education would only be an asset moving forward. Verrin Kewenvoyouma: Much of law school is structured on the individual, and that make sense: you are the only one who has to take the LSAT and pass the bar exam. The analytical skills you learn have to be developed on an individual basis. However, in business school, much like life and in a law practice, there is definitely much more comradery and team orientated projects. You quickly learn how to leverage your own strengths and weaknesses to work with other people for the best outcome of your collective colleagues and clients. I think the experience of both programs creates a good contrast of what you should experience in life after school and in practice. Along those lines, the relationships I made in both programs, and especially in the ILP, I still value very much today. On a daily basis I work with folks who were graduates of the program, and today, in fact, I’ve spoken to no less than four ASU ILP grads on varying matters. Kris Beecher: If I could go back and do it all over again, I would make the exact same decision to pursue a JD/MBA. In fact, I would probably advocate harder for more of my colleagues in law school to pursue the MBA component. 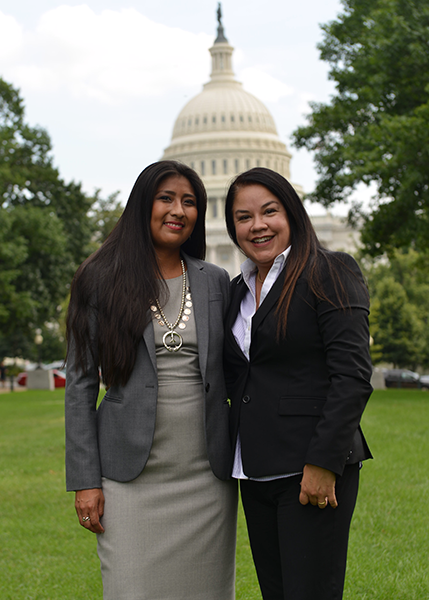 This is the second part of the Alumni Tribal Court – Experience and Advice series. There are a variety of areas of law that are offered at ASU’s Sandra Day O’Connor College of Law, and many students have wondered: ‘What can I do with my law degree?’ We asked some of our alumni to share their experiences, expertise and advice on becoming a tribal court judge and the responsibilities in that position. Q: How long have you served as a tribal court judge? Shawn Attakai: I was appointed in June 2018. I have been a judge for approximately one year. Sean Cahill: Has sat on the Appellate Court of Little Traverse Bay Bands of Odawa since 2015. Joseph Flies-Away: It wasn’t a choice, really. It’s just what happened. I was working for the Hualapai Tribal Nation as an economic development planner/grants writer and then became a tribal council member. Then the chairman said, “Somebody should go to law school,” and from that point on it was put in my head that I should go. I went to law school to be helpful to the tribe with economic development. The lawyers supposedly always had the answers. So I went to law school. After completing the first year I was appointed chief judge, which was not a plan of mine, but it happened. I was the chief judge for a two-year appointment after one year of law school. I learned how to “do” law while acting as a judge, not from law school. Then after the two years I went to the Kennedy School at Harvard University. After that I came back to Arizona and started law school all over again and finally finished in 2004. I have served as a pro tem judge for other courts as well. Much of my work as judge (at Hualapai) was in the wellness court. Working as a judge was a serendipitous thing; it just happened. The late Delbert and late Earl [Havatone], both former Tribal Chairmen of the Hualapai Indian Tribe, followed each other in their leadership. The two of them were sitting around and one of them said to me, “You should go to law school.” I had thought about it as a kid, being a lawyer or a doctor. I think like a lot of kids do, I guess. When they said it, it made sense. We always had to have a lawyer present, because every time there was a question they had to look to the lawyer, and I think Delbert and Earl didn’t like that. They were not Hualapai. They knew I could do it. [I was approached about becoming chief judge when] my cousin called me and said, “They have the chief judge job open. Do you want to do it?” I said, “I’ve only been in law school one year,” but she said, “I think they want to appoint you.” I could have said no and not apply, but that wasn’t the kind of thing you do. Anita Jackson: I served as a Tribal Judge for 16 years. In December 1979 I was hired to work as the Juvenile Advocate for my tribe’s Legal Aid Program. This was the first exposure I had to the law and I realized then that I wanted to have a career in law. In the spring of 1980 I applied for the Tribal Juvenile Court Judge and was selected (our Tribal Council appoints our judges). I took my oath of office in June 1980 at the age of 27 and served for two (2) four-year terms. I have been elected to serve on my Tribal Council for this next term. I will be sworn-in on May 6. A new chapter and another opportunity to serve my people in a different role. Q: Why did you choose to pursue this career? 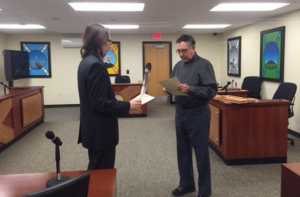 What was your pathway to serve as a tribal court judge? Did your time at the ILP impact this decision in any way? Shawn Attakai: Currently, I am serving as a judge on a part-time basis. My current job is a staff attorney advising the Navajo Nation Judicial Branch. My judge job is serving the Yavapai-Apache Court of Appeals. I was told that this job as a court of appeals judge has a light caseload. So far we have only decided motions. 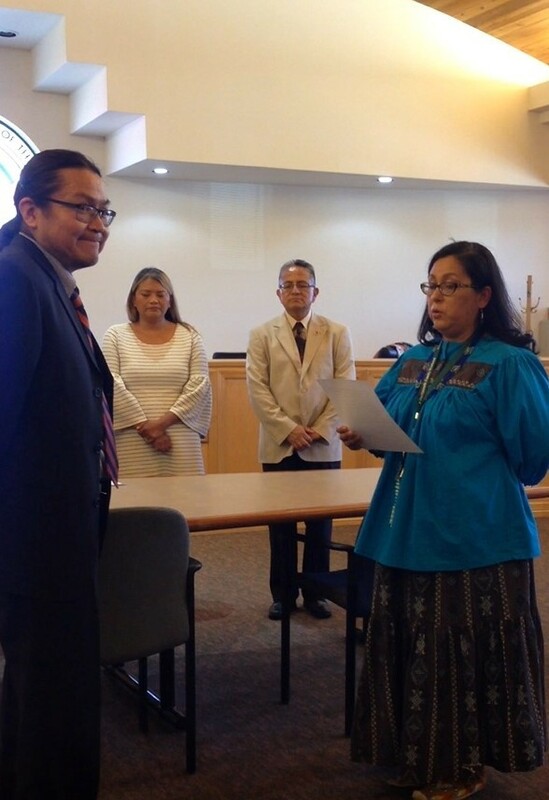 However, I joined the ranks of judgeship hoping to help develop the tribal jurisprudence. I am taking baby steps toward this career. I have been advised, culturally-speaking, that as a young person, I should not be at the forefront of Navajo leadership. Although I went to school at an Ivy League and at ASU, I respect my elders and culture. I can speak my language, but for now, baby steps. The ILP definitely had a part in my decision to become a judge. Judging for the [26th Annual National NALSA] moot court [hosted at ASU Law in 2018] helped me change my perspective from the attorney’s table to a view from the bench. I think the moot court is valuable in terms of building your skills and seeing how other judges decide their cases. I have served as a commissioner at the Navajo Nation and this moot court experience is paying off there too. Sean Cahill: The ILP, and specifically the Indian Law Clinic, introduced me to tribal courts and showed me their importance in tribal government. I sit on the Appellate Court of the Little Traverse Bay Bands of Odawa, where I am enrolled. When a justice position opened up in 2015, I had been working in-house for the Grand Traverse Band of Ottawa and Chippewa Indians. The Justice position presented an opportunity to serve my tribe, and it has truly been an honor to sit on my tribe’s court. Joseph Flies-Away: I went to law school where I tried to understand what law is. Law to me became something very spiritual, something that connects us or disconnects us. I started putting the law into my paradigm and then my two dimensional model became spherical, and as I kept working at it, all these different parts—the individual, the group, conflict or cooperation—it all just fit. Anita Jackson: Initially my cases were limited to cases where children were alleged to have been neglected, abused or were juvenile offenders. I grew up on my reservation so I was aware of the state of the economic and social standings of my tribe, of family ties and interrelations. I began presiding over cases involving adults toward the end of my first term. Because our reservation was originally exempt from PL 280, the State has very little jurisdiction on the reservation so our court exercises jurisdiction over almost all legal matters. This includes matters involving criminal actions committed by Indians and non-Indians, domestic relations, civil regulatory and adjudicatory cases, probate, traffic, and the exercise off-reservation treaty-reserved rights such as off-reservation hunting and fishing. The long-time Chief Judge resigned early in my second term and although I applied, I was not selected to fill that position. The new Chief Judge came from North Dakota and I was assigned to “show him the ropes”, which I did. For several reasons he left a couple of years later and I was temporarily appointed as the Chief Judge until the Tribe hired a non-Indian man to replace him; again I was required to bring him up to speed. Q: What have you learned in your current position that has been different from positions that you’ve previously held? Shawn Attakai: The perspective of being a lawyer in the courtroom is very different than being a judge. Lawyerly work requires advocacy on behalf of your client. You mainly advance only one side of the argument, the side that is beneficial to your client. Judicial work requires looking at the whole situation, and being impartial and looking at the legal issues from both sides. Impartiality is probably one of the biggest cornerstones of the adversarial court system. Sean Cahill: I work both in-house at Grand Traverse Band and on the court at Little Traverse Bay Bands, so I experience the distinct roles of advisor/advocate and arbiter. Obviously those roles are different, but fulfilling them regularly has shown me just how stark that difference is. 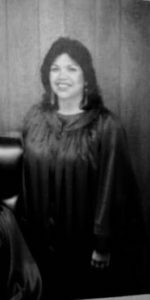 Anita Jackson: Although there was, and still is, no education requirement for our tribal court judges I could see that I would never advance without formal education credentials so I resigned in August 1988 and proceeded to complete my bachelor’s degree and earn a law degree. I earned a Bachelor of Science from Oregon State University in June 1990 and enrolled at Arizona State University’s Sandra Day O’Connor College of Law in August 1990. I earned my JD in 1993. I did serve a three-year term as a judge of our Court of Appeals from 1988-1990. My career plan was to eventually return to my tribe and serve as the Chief Judge. I was appointed Chief Judge in 2005 after working in a variety of other law-related positions with my tribe and served in that position until October 2010. Q: What advice do you have for students interested in a position as a tribal court judge? Shawn Attakai: The main advice is to learn your language and culture. American law schools such as ASU Law produce a lot of lawyers fluent and excelling in Anglo-American law, but we have to remember that we are tribal people. As the Marshall Trilogy mentions, we Native Nations are “separate and distinct.” We are dependent on that distinction. If we tribes were not “separate and distinct,” then there would be no “tribe,” no tribal judiciary for us to be tribal judges. So that our great-great-grandchildren can be “tribal” judges, I think it is important today to know your language and culture and to implement that knowledge into your work as a judge. Sean Cahill: I lucked into the position in the sense that I am a tribal member who lives fairly close to my rural reservation. That said, I was able to secure the nomination because knowing about the vacancy gave me an opportunity to apply. First, then, pay attention to the tribes in whose court you would like to serve. Some actively recruit candidates, some post widely, and some do not. Second, the key for me to parlay the nomination into an appointment was preparation. Know the tribe’s circumstances and its laws—its constitution, statutes, and customary and common law. Finally, it can’t hurt to have experience in a court. I clerked as an extern for Maricopa County judges during my 3L year, and that experience, along with the bench memos and opinions I wrote, proved invaluable. Finally, it goes without saying: Get the best grades and job experience that you can. Many tribes are balancing the need to have their judges and justices come from their community with the desire to appoint the most qualified and distinguished candidates. Joseph Flies-Away: Somebody said to me, “It must be exciting being a judge.” I remember looking at that person and saying, “Exciting? It’s awful.” They looked at me, surprised. When you’re a judge, you’re adjudicating all types of cases and you know all the bad things, all the allegations of bad things, which are horrible and sad. And of course, not all of the allegations are true but you have to hear about it all, deal with all the people, and deal with the ones that are hurting. It was never a “fun” experience to be a judge. The only part that’s “fun” maybe is the legal aspect; figuring out what the law means and how it is applied in a situation. I like to see how the tribal code applies to a case, how legal definitions are applied, what words mean. That, to me, is the interesting part, not whether someone beat up a person or burned down a house or abused a child. There’s no excitement, no happiness, no goodness in that part of it. It’s not a fun job. I don’t think I could ever be a full-time judge again. Anita Jackson: Tribal courts exercise various types of jurisdiction depending on their land base, whether they are subject to certain federal laws, treaty-reserved rights, water rights, and so forth. It is important, therefore, to know how to balance traditional tribal laws with recent tribal statutory laws, and relevant state and federal laws. True separation of powers rarely exists in tribal governments and, therefore, tribal councils often try to interfere with tribal courts. It is important to educate tribal council members on the benefits of separation of powers within the tribe to ensure checks and balances on governmental powers exist. Q: Please share your thoughts about the role of tribal courts in tribal communities. Shawn Attakai: Tribal courts play a vital role in tribal nations and their communities. Making decisions using your own tribal law is an exercise of sovereignty. The act of making decisions as a court goes to the tribe governing itself and its territory. I cannot stress enough the importance of this function. Sean Cahill: From what I’ve seen, tribal courts are deeply embedded in their communities. They play a role in governance and promote healing, in addition to the traditional functions of resolving disputes and meting out justice. Joseph Flies-Away: It’s important for all sovereigns, states, as well as tribes, for people to work together. They have to learn to do that. They need to work together because there are a lot of overlapping issues and situations that require them to do so. It’s very important to collaborate, but there are limitations to it. If people aren’t able to respect each other, then they shouldn’t work together too closely, because I’ve been in situations where you could tell, there was no respect for the other—mostly Anglos toward the Indians, though it happens vice versa as well. We may be different, look different, and do things differently, but we can’t participate in cooperative measures if there’s no respect. There are many people out there who still don’t trust the other people. They say right out, “Well, we can’t trust Arizona; they’re going to act like this, or we can’t trust the judge in Mojave County or whatever.” Over time, I think, as more respect is built, a better collaborative scenario would be available. Both systems would benefit from understanding that, “Wow! They’re doing something differently, we should try that,” or “Their technology is this way, we should try that.” There are things to learn from each other in a very good way. Anita Jackson: Tribal courts have a very important place in tribal government. They generally began as criminal courts but have grown and expanded over the past fifty or so years to provide resolution of person-person conflicts as well as non-criminal person-tribe conflicts. As tribal courts expand they are challenged by not only tribal leaders but also non-tribal governments and people. The integrity of tribal judges is often questioned so it is very important to have the courage to stand firm on principles and law. There is nothing more satisfying than working for your own tribe and at the same time, there is nothing harder or more taxing. Do not expect positive changes that you make as a tribal judge to be immediate nor initially appreciated. You must have courage, a strong backbone, thick skin and keep a long-view of justice in your own community. Shawn Attakai: I hope that in the future, I mean way in the future, that we maintain our cultural identities as tribal nations. We put in a crazy amount of effort in taking the LSAT, passing 1L, passing the bar, and succeeding in this society as lawyers. We can put that same energy into learning and re-vitalizing our languages and traditions. I believe our effectiveness as tribal legal practitioners would multi-fold, especially for the younger generations, if we could all do that. Note: Quotes included from the Center for Court Innovation’s interview with Flies-Away. Read the interview here. 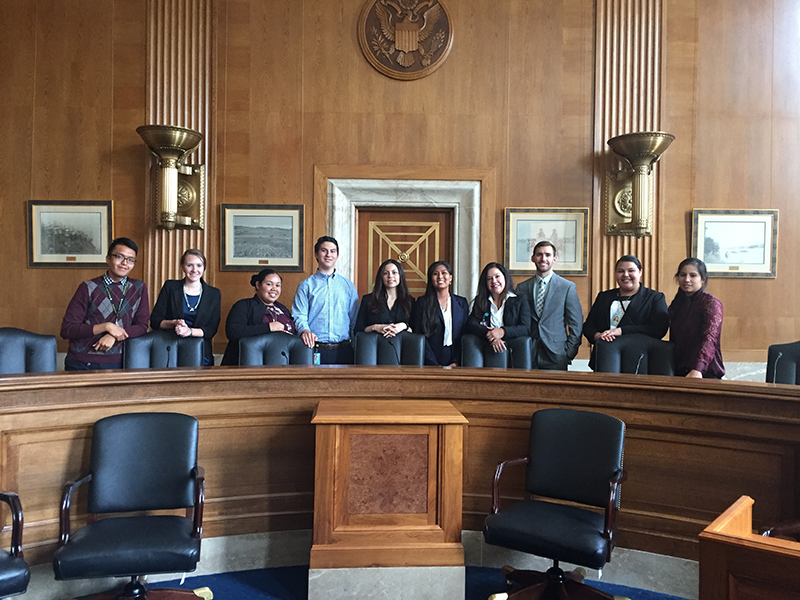 Read the first part of the Alumni Tribal Court – Experience and Advice series here. Under administrative direction of the Chief Prosecutor, provides administrative and managerial support to the Chief Prosecutor and the Offices of the Prosecutor. Fully participates and shares in the overall management of the administrative office and district offices and exercises full prosecutorial authority; supervises provisional staff. Assures that the success of specific functions are consistent with program plans and objectives by monitoring and evaluating program progress. Makes recommendations with the Chief Prosecutor in changing program plans, goals, work plans, schedules, procedures, and etc. as necessary; assists with the development and implementation of policies, procedures and budgetary functions. Accomplishes functions through supervisors and prosecutors at the administrative and district offices. Coordinates all central administrative office activities with various governmental agencies engaged in the investigation and prosecution of criminal and civil matter related issues. Provides technical guidance to administrative and district staff and related law enforcement agencies, government, and state agencies. Assist in research and gathering of physical evidence with law enforcement and related agencies. Review and assign cases to supervisors and/or Senior Prosecutors. Determine importance of case(s) warranting prosecution. Assist prosecutorial staff in the development of case plans, calendaring, strategies, evidence, and other investigative matters of significant importance. 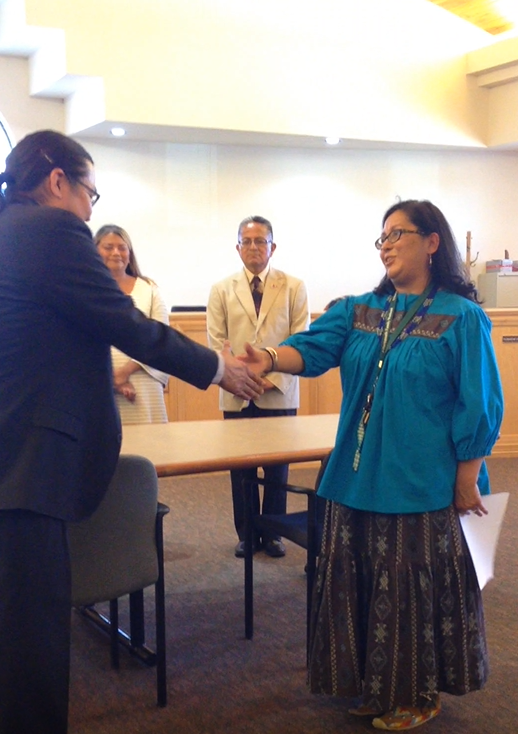 Attends arraignments and brings cases before the courts of law within the purview of the Navajo Nation. Represents the office and serves on various committees, organizations, state and federal agencies. Maintain effective work relationships with officials from all levels of government and the general public. Address oversight committee on related prosecutorial administrative matters. Assist and provide recommendations on annual budgetary functions and reporting. Address personnel matters in colorization with the Chief Prosecutor. Serves at the Pleasure of the Chief Prosecutor. A juris Doctorate; and eight (8) years professional experience as a state licensed attorney with progressive experience as a trial lawyer in criminal/civil law, administrative law, employment or related fields; two (2) years of which must have been managing and supervising a law office (private or government legal department). Current admission to any state bar with the intention of seeking and securing admission to the Navajo Nation Bar Association and either the Arizona, New Mexico or Utah State Bar within one year of date of hire. Depending upon the needs of the Nation, some incumbents of the class may be required to demonstrate fluency in both the Navajo and English languages as a condition of employment. 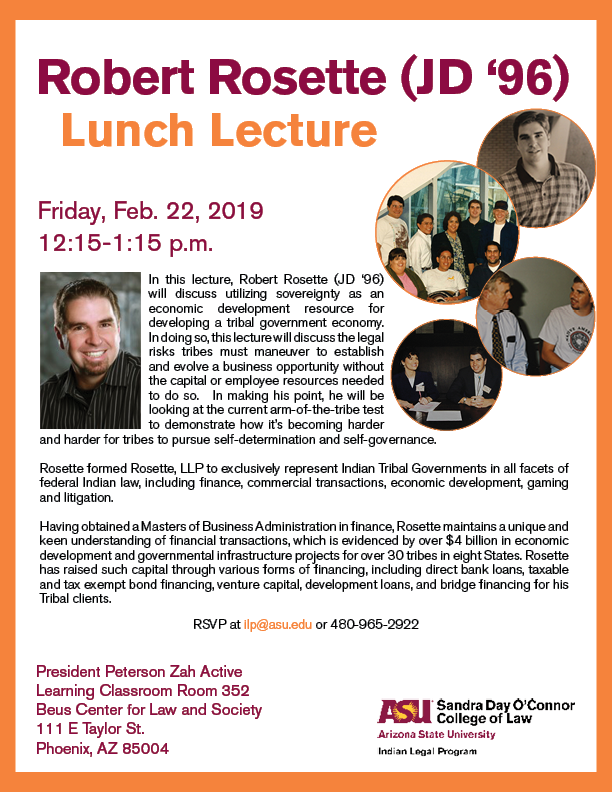 Knowledgeable in Navajo Nation Laws and applicable state and federal statutes, rules, and regulations; Federal Indian Law, prosecution, juvenile justice and white collar crime; principles of management, administration, supervision, accounting, bookkeeping, etc. ; principles and practices of methods of legal research, principles of criminal law and appeal procedures related to violations of Navajo Nation laws and applicable state and federal statues, rules and regulation; court processes, administrative law processes and legal terminology; legal strategies, their development and presentation and supervisory methods and techniques. 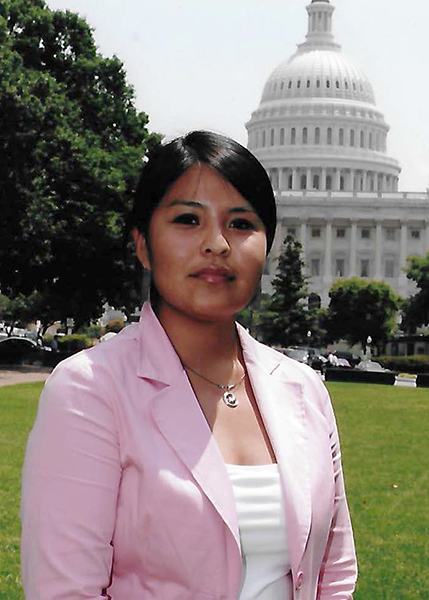 Skilled in legal research, effectively assessing, interpreting and applying complex laws; assessing analyzing and assessing financial and other records to make recommendations and decision on prosecution; in communicating effectively and overseeing the effective prosecution of violation of Tribal law; in establishing and maintaining an effective and cooperative working relationship with numerous officials of the Navajo Nation, attorneys, litigants, witnesses, interested parties and others; and in operating a personal computer utilizing a variety of software, programs, applications, and software. For full job description, click here. For job listing, click here. Under supervision of the Chief Prosecutor/Deputy Chief Prosecutor represents the interest of the Navajo Nation government. Provides and assists several district prosecutor offices in prosecution of criminal and civil cases representing the interests of the Navajo Nation government. Will attend arraignments, as needed; trials, adjudications, child dependency adjudications, motion hearings, sentencing/disposition hearings, pretrial conferences, preliminary hearings, and other related issues to court attendance; prepares all required legal documents; reviews investigative reports, legal pleadings from defense counsel, law enforcement reports and related documents; determines nature of the criminal offense; establishes case plan with law enforcement personnel from various governmental agencies on most serious criminal offenses such as vehicular homicide, sexual assault, aggravated batteries, child neglect or spousal abuse, etc. ; assigns case plans; provides legal guidance and advice to law enforcement personnel in proceeding with investigation; prepares and obtains search warrants as necessary, conducts follow ups on cases and elements of cases, conducts legal research, review criminal complaints, interview witnesses, included but not limited to other legal matters. A Juris Doctorate in Law. Current admission in any state bar with the intention of seeking and securing admission to the Navajo Nation Bar Association and either the Arizona, New Mexico, or Utah State Bar within one (1) year of date of hire. In 2016, the fight for clean water and the indigenous led resistance to the Dakota Access Pipeline (DAPL) caught the attention of the world. At the heart of the movement, was opposition to the DAPL, a pipeline projected to run close to the Standing Rock Reservation that threatened its clean water and sacred sites. No-DAPL demonstrators drew the ire of officials and law enforcement and numerous individuals engaging in peaceful protests were arrested and prosecuted for serious crimes in state and federal courts. This presentation talked about one of the many stories from Standing Rock and will follow the prosecution of one water protector from his arrest to his challenge before the North Dakota Supreme Court. Please see Corrected Opinion in North Dakota Supreme Court No. 20180171 (State v. Herbert) if you want to read more about the case. To listen to recording, click here. Conduct legal research on relevant statutes and cases; analyze legal issues presented by administrative records; communicate findings of research to tribal court judges either orally or by succinct memoranda. Review legal pleadings, motions, briefs, transcripts, and recordings. Draft memoranda of decision and orders for pending Tribal Court cases. Attend hearings as requested by the tribal judges. Prepare special projects such as editing decisions for publication and developing proposed amendments to Mashantucket Rules of Civil Procedure. The annual salary is $50,000 plus benefits. Submit a cover letter addressed to “Chief Judge,” resume, law school transcript (official or unofficial), a brief legal writing sample, and a list of 2-3 references. Letters of recommendation are preferred, but not required. Transcripts and letters of recommendation may be included in the application packet or sent under separate cover. Applications are accepted via U.S. mail and/or e-mail. Applicants will be considered on such criteria as academic standing, law review or journal experience, moot court, other significant research or writing experience in the field of Native American law, prior employment, and faculty, employer or personal recommendations. The ILP alumni awards are now open. Nominate your classmates and friends! The ILP Awards include Professional Achievement, Alumni Service Award, and Emerging Leader Award. Nominations are due February 18, 2019! Nomination materials should be sent by email to: Kate.Rosier@asu.edu. Awards will be presented at the ILP alumni reception at Fed Bar on April 11th at Sandia Resort & Casino. Provide at least two letters of support from individuals that can speak to the candidate’s impact on his or her profession. Letters of support should speak to the magnitude of the individual’s impact in the practice of Indian or tribal law or in the Indian community. Provide a 200 word bio of the nominee. Past winners include: Kathy Bowman (’86), Rob Rosette (’96), Diane Enos (’92), Ben Hanley (’71), Herb Yazzie (’75). Please provide at least two letters of support from ILP alumni as part of the nomination package. 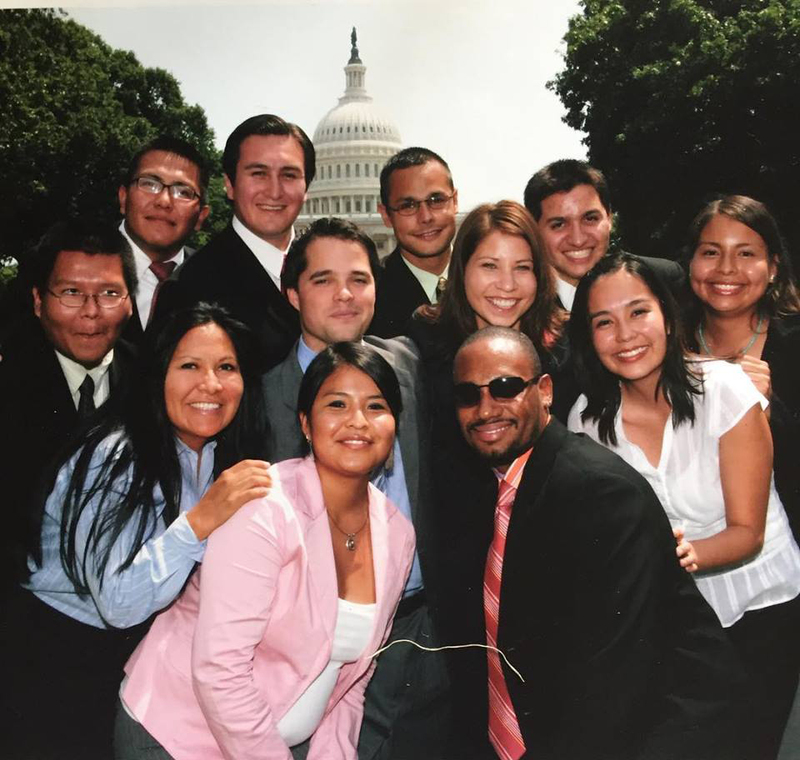 ILP Emerging Leader Award – This award acknowledges and encourages service to Indian Country and the ILP by alumni who are less than ten years out of law school. The award recognizes outstanding achievements in their professional career, volunteer work, and promotion or support of the ILP and/or ASU NALSA. Nomination Package Requirements. Describe how the candidate has achieved professional success in their legal career. Describe the candidate’s volunteer work. Provide two letters of support from fellow ILP alumni.